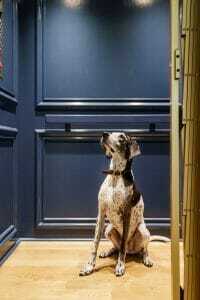 Residential elevators are more than just a luxury component of a home. They can also increase the value of a property in Charleston, SC. The installation of an elevator in a home can return the price back in value later on.  Residential Elevators is a family-owned elevator sales, manufacturing, installation and service company available to help anyone in Charleston, SC upgrade their homes to a more comfortable and luxurious state. All of our products are built in the U.S. to ensure their quality and ethical production. The combination of our services allows the quick construction of an elevator in a home. We oversee the whole process from on-site project management, design & craftsmanship, installation, service and insurance so our customers don’t have to worry about a thing. Installation of an in-home elevator in Charleston, SC adds the ultimate in luxury to your residential property. Whether you’re looking to achieve your dream home, or add an elevator to assist an elderly resident in making it upstairs, Residential Elevators has the solution for you. Truly living in luxury removes a lot of the inconveniences that a staircase can introduce. Everything becomes much easier with our lift which includes automated remote controls. A home should be convenient to live in so that it feels comfortable. An in-home elevator is not only convenient but also gives mobility to the elderly or disabled. It gives extra value to the property, saves on other costs during building, and gives the residents and their guests more living space. The most expensive part of constructing a home comes from the foundation and the roof. Rather than building outwards and paying for more property, increasing the height of the building with a residential elevator saves on cost. We also can build an elevator into an existing home’s frame with proper retrofitting. Our residential elevators use 220 volts to conserve on energy. It is important that people feel safe in their own homes and Residential Elevators ensures this with the many standard safety features built into our products. The backup battery is one example of our standard safety features and provides peace of mind if your in the elevator during a power outage. This feature will lower the elevator to the next available floor to allow for a safe exit. Door locks, Cable Switches, Top and Bottom Limit Switches, Emergency Breaks and many other items are all standard features with a home elevator manufactured by Residential Elevators. We also offer other additional safety features for your elevator such as: Infrared Light Curtains, Lockable Car Stations, Lockable Hall Stations just as your local Manufacturers Representative for details. Home Elevator Code stipulates that a private use elevator can travel no faster than 40 feet per minute and ascend up to 50 feet. All of our elevators adhere to the national elevator and building codes to provide you the unmatched experience you will not find elsewhere. For an elevator to feel like part of a home it is important that it matches your interior design. For this, we offer many different designs including classic, signature, vintage, estate, shaker, and reserve to fit any home style. Even the ceilings, fixtures, handrails, and gates can be customized with vinyl, hardwood, clear, and acrylic. Wood finishes can come in many different colors including Sedona Red, Ipswich Pine, English Chestnut, Cherry, Early American, Special Walnut, Natural, Provincial, Pickled Oak, Driftwood, Golden Oak, Golden Pecan, Jacobean, Puritan Pine, Red Mahogany, Dark Walnut, Colonial Maple, Red Oak, Ebony, and Fruit-wood. Residential Elevators is the place to go to if you are looking to increase the accessibility of your home to enjoy multi-story living. We will help you with all of the steps of the process to make it stress-free and easy.